Twice in two days last month we heard the same Gospel reading from chapter 15 of the Gospel of St John. We heard it on the 6th Sunday after Easter and then again the next day, on the Feast of the Apostle St Matthias. Matthias, you will recall, was the man chosen to take the place of Judas Iscariot as one of the twelve. He was chosen ‘by lot’; it was between him and ‘Joseph called Barsabbas, who was also known as Justus’. We do not know what particular qualities either of them had, we just know that they had to be able to act, with the other disciples, as a witness to Jesus’ resurrection. This month we have two significant opportunities to celebrate the calling to ministry. On 17th June we will gather with Fr Paul Iles to give thanks for his 50th anniversary of ordination to the priesthood. There can be no doubt that Fr Paul’s ministry has borne much fruit and we have greatly benefitted from that. This will be our opportunity to give thanks to God for all that He has been able to do through Fr Paul and all the ways in which we have been blessed through Paul’s ministry. At the end of June, on Saturday 30th, Deacon Liz Palin will be ordained to the priesthood and we will gather again to celebrate ministry, but this time an ordained ministry that is in its very early stages with so much still to come. As they do for me, I am sure that Jesus’ words in John 15 have a very special significance for both Paul and Liz, who have responded to God’s call believing that He has chosen them for some particular work in His church. But actually Jesus speaks those words to every one of us, because he has chosen each one of us to be His people. Not his special, privileged, exclusive people, but those he has chosen to be the ones to bear His fruit. The ones called to show the fruit of His love in our lives and to bear that love to others. Not just amongst ourselves, those who are already members of the Church, but also to those beyond the church; those who are out in the world. In the same passage, Jesus says, ‘This is my commandment, that you love one another as I have loved you’. (John 15:12) This commandment of love places enormous demands on us as Jesus’ followers because that degree of love must be a part of the life of every one of us. It must be the ‘mark’ of the Church, something that marks us out as being distinctive; as being different. It must be a love which bears much fruit if we are all to fulfil our calling as the people God has chosen. Fr Paul will celebrate the 50th anniversary of his ordination to the priesthood on Sunday 17th June. He will preside at a Sung Eucharist in St Nicolas’ at which the preacher will be Canon John Mead. The service will begin at 10.30am (please note the time) and will be the main service in the North Cheltenham Team Ministry on that day. There will not be a service at 11.00am in St Mary’s, nor will the normal services take place in the other churches of the Team Ministry. Fr Paul wants the service to be a celebration of ministry and it will be our opportunity to give thanks for his ministry amongst us for almost 10 years. Although Fr Paul will be retiring later this year from his post as House for Duty priest in the North Cheltenham Team Ministry, his hope (and ours too!) is that he will be able to continue to offer some ministry amongst us in the future. The service will be followed by a ‘bring and share’ lunch with drinks provided. This will be held in St Nicolas’ Hall and grounds. Please see the sign-up sheets in all the churches. Deacon Liz will be ordained priest by the Bishop of Gloucester at the ordination service to be held in the Cathedral on Saturday 30th June at 4.30pm. A coach has been booked to take people to the Cathedral. Please let one of the Churchwardens know if you would like to book a seat. All are welcome to attend. On Sunday 1st July Liz will preside at the Eucharist for the first time. This service will take place in St Mary’s at 11.00am and will be an opportunity for people from across the North Cheltenham Team Ministry to join with Liz and her family and friends for this special celebration. After the service, you are invited to bring a picnic to the grounds of St Mary’s Infant School in Bouncers Lane, where we will continue the celebrations together. There is parking at the school, but please do ask one of the Churchwardens if you require transport. Other services at St Mary’s that day (8.00am, 9.30am and 6.30pm) will be as normal; there will be a Said Eucharist at St Nicolas at 8.00am but no service at 9.30am. Thank you for your continuing support in praying for the parish day by day. Did you make it to church on your street’s day during Lent? I managed February (easy – it was a Sunday!) and March (Monday), but not April because it fell on a Friday and 8am was too early. We are delighted that members of Prestbury United Reformed Church are now also taking part. I was welcomed to their family service at the beginning of May to speak about the scheme. Many of the congregation took leaflets to use at home. 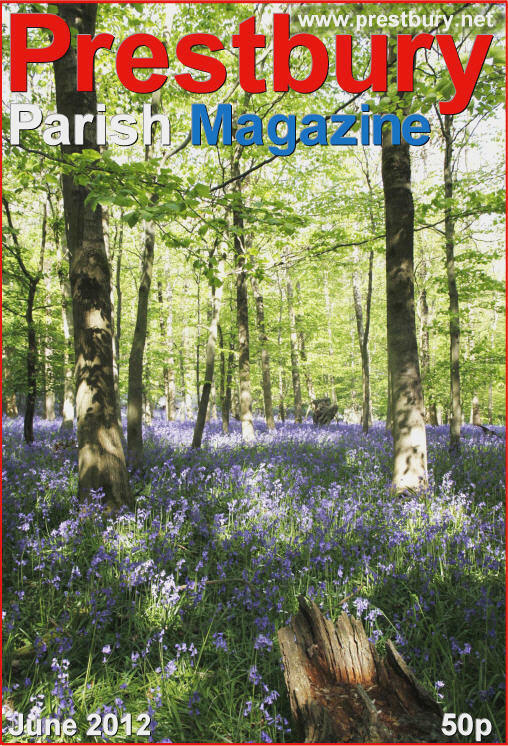 To extend the scheme a little further, if you have a friend or neighbour who goes to church somewhere other than in Prestbury, but who lives within the parish, perhaps you could offer them a prayer card too, so that they can join in praying for their area. 9th: Desert Orchid Road, Midnight Court, Tremblant Close & Mill Reef Drive. Timing can be critical. This is being written before the second meeting about Messy Church but it will be published after that meeting has taken place. Therefore, as you read this, it may be that a decision has been taken to proceed with Messy Church based at St Nicolas, in the afternoon on the second Saturday of every month. If so, the first one is scheduled for 13th October. A big thanks to those who have already expressed interest in, or curiosity about it and are already praying about it. You may be uncertain as to what Messy Church is all about. If so, you’re not alone. Help is at hand. There is a book or a DVD to fill in some of the missing details. You may have heard about the DVD from someone who has seen it already. You can borrow it, or the book, and find out for yourself. Get in touch with me. Don’t feel shy about coming forward – it is new to all of us. Many thanks to all of those regular collectors who have supported Christian Aid over many years and particular thanks to those who have responded to my requests for new collectors who have collected for the first time. It is not an easy task requesting money for any charity so your continued support is central to the annual appeal. On Monday 30th April a coach party left St Nicolas’ bound for the Church of St Matthias, Richmond, to be at the Licensing by the Bishop of Southwark of Fr David Gardiner as Team Vicar and Parish Priest of St Matthias the Apostle. 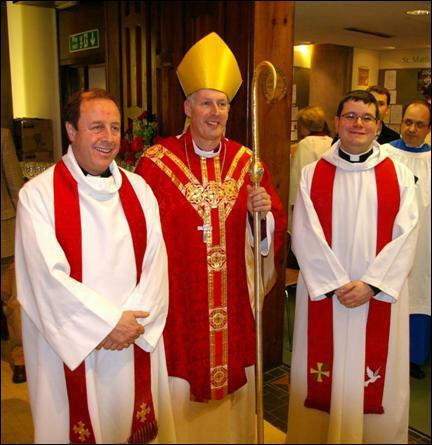 Fr David is pictured below with his new Team Rector, the Revd Canon Robert Titley, and the Rt Revd Christopher Chessun, Bishop of Southwark. ‘Simply Vicky’ is a group of Prestbury mums who are raising money for local mum, Vicky Dunn, who was seriously injured in a car accident in November 2009. The third, sell-out fundraising event took place at Prestbury Hall, and this time there was an Indian theme to the evening. 120 guests enjoyed a delicious Indian buffet which was supplied by the Dunn’s neighbour, Matthew Idicula, and his fellow members of the Cheltenham South Keralan community, a group of families who have moved to Cheltenham in the last six years from South Kerala in India. After the amazing buffet we were entertained by Craig and David, a local band, who kept everyone on the dance floor until late. The evening raised a brilliant £2,700 which will be added to the pot and used to buy computer equipment and other non-NHS funded items for Vicky on her return home. This meeting was held at the All Saints Academy. The Revd Dr Tudor Griffiths opened the meeting with a reading from Matthew chapter 28 verses 16 to 20. The retiring Parish Share Administrator, John Highley, was warmly thanked for his work and his successor, John Hughes, was welcomed to the position. Mr Hughes attends St Michael’s, Whaddon. 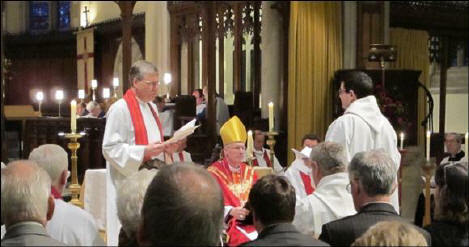 A request was made for nominations of lay and ordained people willing to serve on the Diocesan Synod. Sheila Bowden, assisted by others, gave a presentation which included showing a DVD about the work and benefits of the Cheltenham Prayer for Schools Network (CPFSN). This ecumenical group has been in existence for nearly twenty years and aims to provide prayer support for all Cheltenham schools. This ministry of prayer is supported by Scripture Union and a number of other organisations. Currently there are 67 Cheltenham schools specifically receiving prayer, 2 colleges and the university. These are covered by 36 separate local prayer groups. Two further groups pray for all teachers. A new group, headed by Steph Rollinson, prays for our St Mary’s Infant School. In addition to the groups there are 20 home intercessors, of whom seven are Anglicans. Thus homebound people are not excluded from this important work. For those who are mobile, advance notice of the open Autumn Prayer Meeting was given at which Helena Arnold, who works for the Diocese, and Peter Kingham of All Saints Academy will be speaking and leading prayer about “The educational challenges and opportunities facing schools”. This will be on Monday 8th October at 7.25 for 7.45 – 9.30. There is a notice on the church boards about this. After establishing links with schools during their first decade, CPFSN is now, during its second decade, working to strenghthen links with churches, and although it is interdenominational, is using the framework of the Anglican mission areas within Cheltenham to facilitate this. Sheila is keen to have a contact in every church so that information can be easily passed to and fro. Sharon Macauly is the contact between CPFSN and St Mary’s and St Nicolas'. Tours of the Academy were offered to those present. The different groups were led by four vivacious girls ranging in age from 11 to 14, and by Peter Kingham, the Principal. It is truly an amazing building. The next Deanery Synod meeting will be at the URC Centre in Warden Hill on 15th November. Please continue to pray for the work of the Deanery. The Lord said to me: Mortal, all my words that I shall speak to you receive in your heart and hear with your ears; then go to the exiles, to your people, and speak to them…The Spirit lifted me up and bore me away; I went in bitterness in the heat of my spirit, the hand of the Lord being strong upon me. I came to the exiles at Tel-abib, who lived by the river Chebar. And I sat there among them, stunned, for seven days. How very odd – a prophet stuck for words. What are prophets for, if not to turn up with just the right message for a crisis? This is certainly a book of wonderful vision and poetry, yet it has hardly started before the images and the poetry fade, and we find this startling picture – a servant of God out of his depth, humiliated and silenced. The background is conquest and deportation. Not for the first (or last) time the Hebrews got in the way of the huge power struggles that dominated the Middle East for a thousand years. Around 600-500 BC the kings of Babylonia (roughly modern Iraq) wanted to expand west against Egypt, and because they needed Judah as a base they systematically evicted thousands of its people to an exile in Babylon that was to last 50 years. Jerusalem was destroyed, its Temple razed to the ground. All that was left of their faith was what they carried away in their hearts and their memories. Into this situation Ezekiel arrived with a message from the Lord. But he was quite unprepared for what he found, a once confident people deeply depressed and disillusioned. For days the great prophet sat there among them, with no idea what on earth to say. Exile has forever been a haunting memory for the Jews, and an indelible Bible theme for us all. Today’s world – indeed today’s Middle East – is still for millions a scene of exile and separation and despair. Home, livelihood, security, faith, even family, for millions are all gone in the struggle for food, water, medicine and day to day survival. Where is hope to be found? – hardly in complicated, compromised communiqués from the UN, or hand-wringing by the rich and powerful. For a long time to come believable hope may be more visible in the silent solidarity of NGOs like Christian Aid or Medecins Sans Frontieres or Amnesty International, there on the ground, with no quick-fix answers, just there, in silent service and the tough reliability of endless and ingenious kindness. This is indeed the word of the Lord. For many an individual too, personal grief, disapproval and loneliness can feel like an exile, when others cross the street rather than stop and talk. And, we may well wonder, what can we say to the person who has lost a job, or to parents whose child is dying, or to people who seem ‘different’ because of how they look or sound, or because of the relationship they are in? Perhaps sometimes the answer may be – nothing. Inarticulate silence, and staying around, may say as much as skilful words ever could. Silence crosses boundaries, reaches out, offers the beginning of hope. A hand held out and grasped can say it all. For the exiles in Babylon the new future began when a man of God came and sat wordlessly alongside them. Of such modest grace are prophets made. The next bakestall will be on Sunday 24th June (not 17th as everyone will be at St Nicolas’ where Fr Paul will be celebrating his 50th anniversary of ordination to the priesthood). The A-F team will be providing this time. Prestbury Mothers’ Union have their outing on Tuesday 26th June. Lunch will be taken at the Toby Carvery. Afterwards we go to Trench Hill Gardens, Sheepscombe. We’re hoping for a lovely sunny day !!. A Barn Dance with Baily’s Beads will be held at St Nicolas’ Hall on Saturday 6th October. For those of you who enjoy playing tennis perhaps you would like to join Prestbury Tennis Club, which is a very friendly Club that plays on 2 courts adjacent to the Pavilion in Prestbury Playing Field. We play social tennis several times a week and we have a new coach helping us to improve our skills. Children are also being encouraged to learn the game. We play all year round and membership is very reasonable. Enquiries to me. In recent years Prestbury, Southam and the land that lies in-between have come under increasing pressure by developers. Over the past few decades the burden has fallen on a few local stalwarts to fight on our behalf, attempting to keep development appropriate and ensure that our precious heritage is not lost. Peps-Net believe it is our duty to stand up and help protect our green spaces. Our aim is to become a focal point and voice for you as a community, liaising with existing groups and increasing public awareness. There are many threats to our green spaces. Under long-term plans a 23-acre plot off Mill Lane has been earmarked for 180 homes and a further 19.6 acres to the east of the village, which falls within an area of outstanding natural beauty, (AONB), has also been offered for development by the owner. We believe that these and other plans are unacceptable and call on you all as fellow parishioners to join us, take up the challenge and fight for what is yours. We have a shared environment and together as a community we can protect what we have now for future generations. To become part of the Peps-Net visit us at www.peps-net.co.uk or join our group on Facebook.